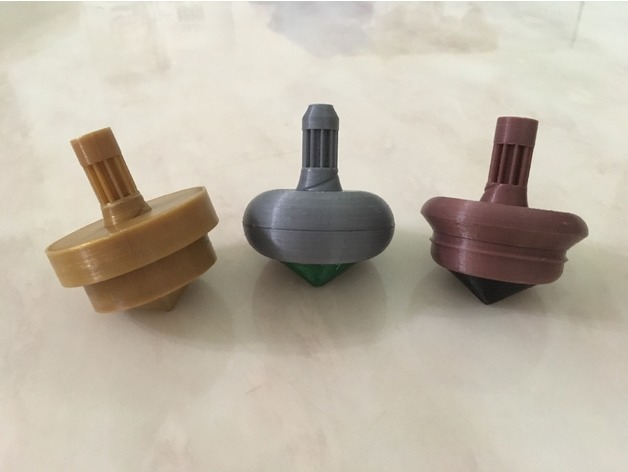 Modular Combat Spinning Top (no support needed) #3DPrinting #3DThursday « Adafruit Industries – Makers, hackers, artists, designers and engineers! Aravon shared this project on Thingivere! The spinning top is modular. You can easily design your own discs and tips. The default is three layers, upper disc, lower disc and the tip. 11mm thick each. The core diameter is 10mm. You can easily create thread with Fusion 360 (it’s the way I made them). For combat fun and fairness, the largest disc diameter should be around 5cm. A very rough arena is included. It is one quarter of a circle. So print 4 of them and glue them together. Need lots of sanding, so be warned. I recommend you create your own arena. All pieces can be printed in just PLA. Of course you can try out other materials. A good mechanical experiment.